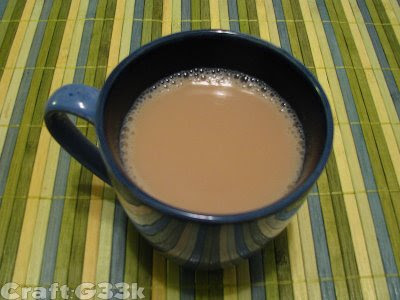 I recently became obsessed with making a real masala chai at home. The obsession was worthwhile. I'm home sick right now, enjoying quite a few decaffeinated cups. and steep for ten minutes. Add milk and enjoy! If you are unfamiliar with some of these whole spices, here's a picture. They are so pretty and good smelling. I found the star anise in the ethnic foods aisle. McCormick sells cardamom pods, but they were crazy expensive. I actually found mine for quite a bit cheaper at Whole Foods. Yes, that Whole Foods. They have surprisingly good prices on spices, as they only sell their own label. Oooh, I need you to make me a cup of that! Oh man, does that look fabulous. 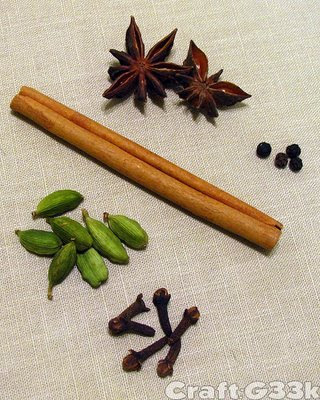 I keep seeing images of star anise in the blogosphere, too. It's so gorgeous!